It is a big decision to pull your family up by the roots and settle down in a new country. You have to be sure that this is what you want and if you go as a couple, that it is a big dream for both of you. Moving abroad does put a relationship to the test. We were now spending all of our time together. We came from a life where we each had a minimum 37-hour working week, sport activities in our spare time, evening classes, etc. and now we were together 24-7. Additionally we didn’t know anybody else in the beginning, so it was important to learn a new way of relating to each other. Of the many other foreign couples we now know, moving abroad has either strengthened or destroyed their relationships. In this kind of adventure the daily life quickly catches up with you and bills have to be paid. So if you are not one of the few lucky ones with big, fat Swiss bank account, a good advice is to be prepared or at least have an idea of what is going to be your livelihood abroad. We had a dream of starting a small hotel; I had been working with tourism for many years and Thomas as a chef. Our B-plan was a restaurant, which we now are happy for we ended up with. But there is a of lot challenges in moving abroad, learning another language and starting up a new business and therefore as mentioned before it is also incredibly important that both parties want, and feel up to leaving the security of home. At times, when the challenges seem insurmountable, a relationship quickly can become fragile. 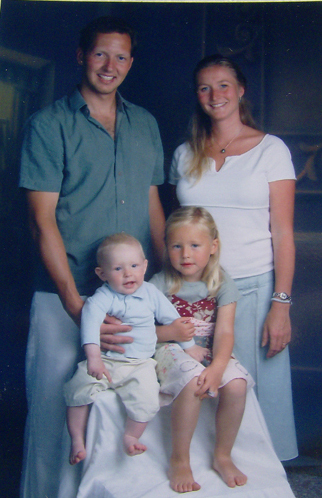 Before we left Denmark in 2005 we made an agreement to move back if either of us became unhappy about living in Spain. But at this point we still haven’t dug out the suitcases with the intention of travelling home to Denmark for anything other than a holiday. And yes, we still say that we are “going home to Denmark”, but we also “go home to Spain” again. Would we have done the same thing today in 2015? ?I honestly don’t know…. Mind you, we left before the recession, where everything was going well here in Spain and businesses thriving. Furthermore we assumed that if our little adventure should fail, it would be easy to return to Denmark and find work again.